Cuttlebone, also known as cuttlefish bone, provides natural calcium and minerals for your bird. Birds sharpen and keep their beaks trimmed by using them. These are recommended for caged birds. 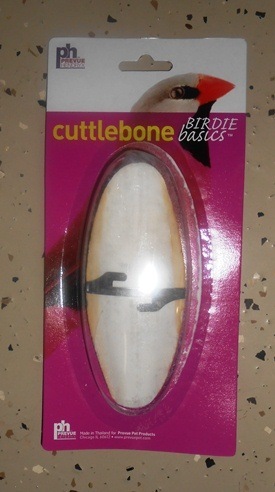 Keep clean cuttlebone in your birds cage at all times.